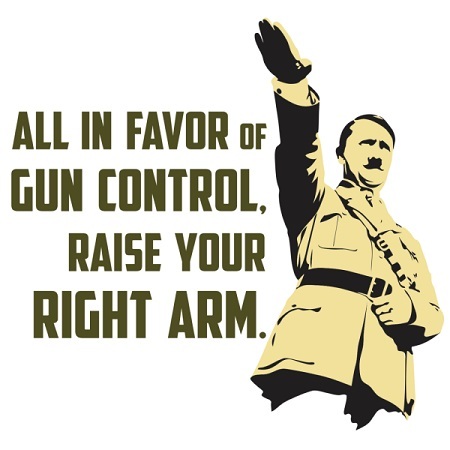 "The 'Hitler Youth' invasion of Washington D.C. took place today as young fascists-in-training were corralled into the nation’s capitol to demand that government authoritarians strip away the civil liberties of all law-abiding Americans in the name of 'gun control.'" 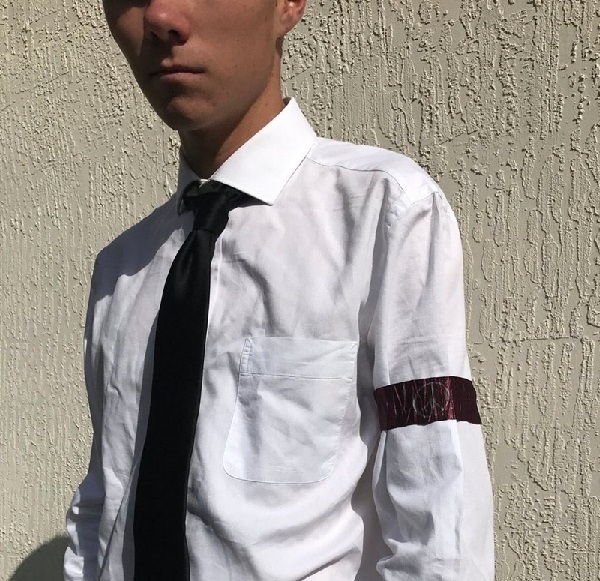 "Just like Hitler Youth enthusiasts, these fascists-in-training are told they’re “saving lives” for “a better future,” and that the only thing standing in their way is a bunch of violent gun owners who want to murder every baby in sight. (The irony of all these left-wingers actually condoning the abortion murder of babies, of course, is completely missed in all this.)" Pope Francis and the Media, if they really want to stop school shootings, instead of apparently attempting to coordinate youth against the Second Amendment, should be teaching the Ten Commandments which are outlawed in public schools. 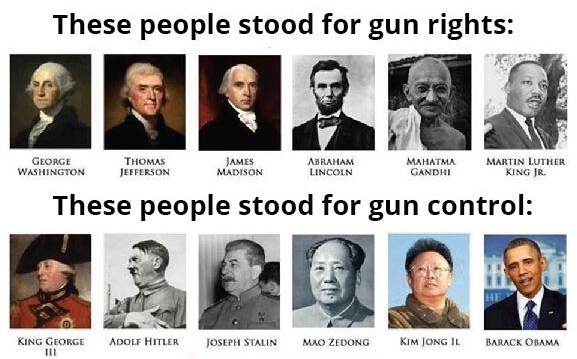 If they really want to stop shootings, they need to realize that public schools more than guns need to be reformed or outlawed. We need to remember that market researcher, C. Britt Beemer, thought that the Columbine shooting had changed our country's mindset. His surveys show 70% of parents now think danger in schools will continue to increase. “Informed parents” are, also, dissatisfied with public school's drugs, peer pressure, and poor teaching. He sees a trend towards single income families and home schooling. After 50 years of feminist propaganda, parents appear to be realizing that children are smarter and healthier when they spend more time with them. After 150 years of education propaganda, parents are beginning to see public schools as unsafe to the moral, intellectual, and bodily safety of their kids. But, since “compulsory” schools began, each succeeding generation has become more illiterate. After WWII, with increased funding of public schools, black illiteracy doubled and white illiteracy quadrupled. Notice that the increased funding of our public schools preceded the “dumbing down” which in turn preceded the violence. As the strange psychology of “planned smiles”, “stern looks”, “self-esteem” and “aggression management” replaced the Ten Commandments, school security guards and metal detectors became a growth industry. And teachers that were true educators, like Jaime Estalante of Stand and Deliver fame, and teachers-of-the-year like John Gatto were weeded out. Look it up on the Internet — they were both forced out. We all can remember two or three good teachers like Estalante and Gatto, but they were the exceptions, not the rule. If it is true — as Gatto with overwhelming evidence shows in his book — that the educational system purposely has created a mass of illiterates, and if Justice Department statistics are true that violent criminals are overwhelmingly (80%) illiterate, then the education system is increasingly unsafe at any price for teens. "Reasoned discourse and facts have been pitched in sacrifice to the volcano god of teen emotions." Before the 1960's there were no school shootings. Has anyone ever heard of school shootings at private or religious schools and at home school homes? School shootings only happen at PUBLIC SCHOOLS. 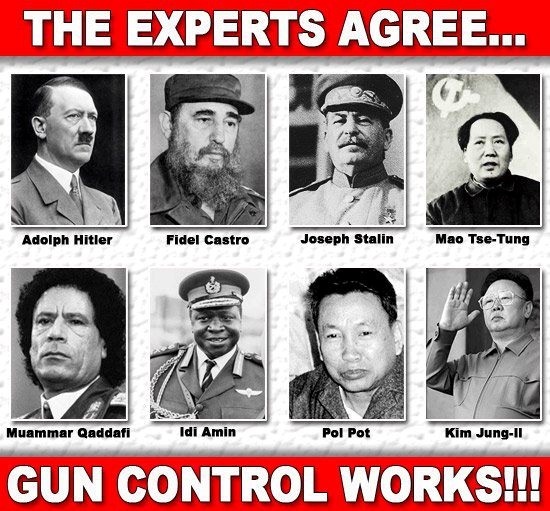 Public Schools need to be reformed or outlawed to stop school shootings more than outlawing guns. Public schools being reformed or outlawed would not only save the physical life of youths, but the eternal life of all youths who are forced to go to institutions that outlaw the Ten Commandments. 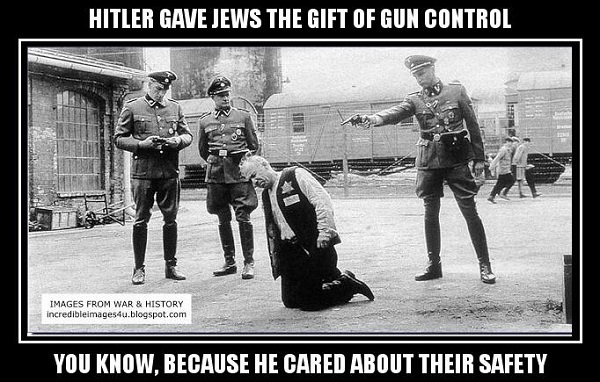 Where the Ten Commandments are outlawed then might makes right as it did in Nazi Germany which means all the gun control laws, school security guards and metal detectors in the world will not make the youths safe. 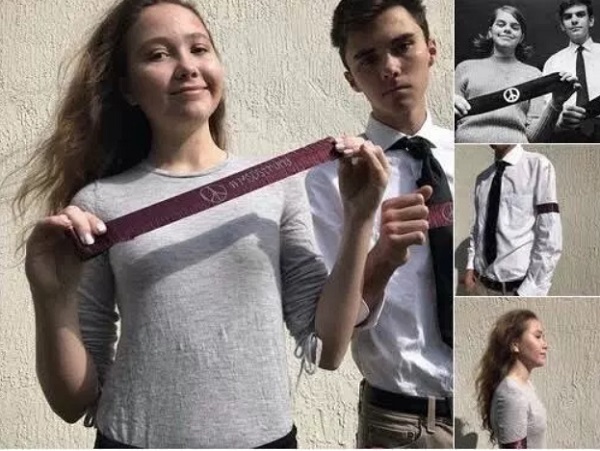 Lauren Hogg, the younger sister of David Hogg and surprisingly not verified on Twitter, has created special armbands for gun control advocates to wear to school, the March For Our Lives demonstration, and anywhere else you think you can wear it and not get embarrassed. 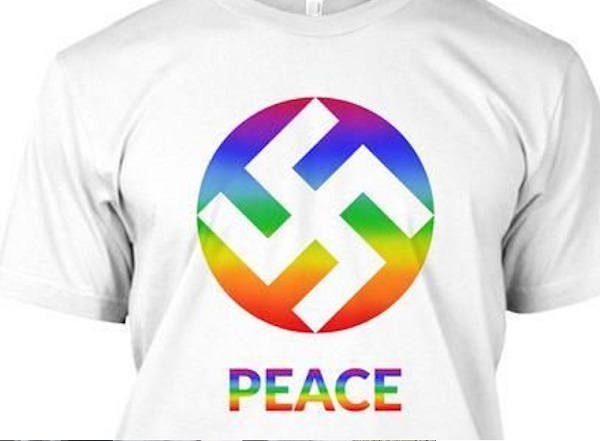 The band, of course, is to be worn on your arm, and the symbol in the middle resembles a peace sign. But does it really? 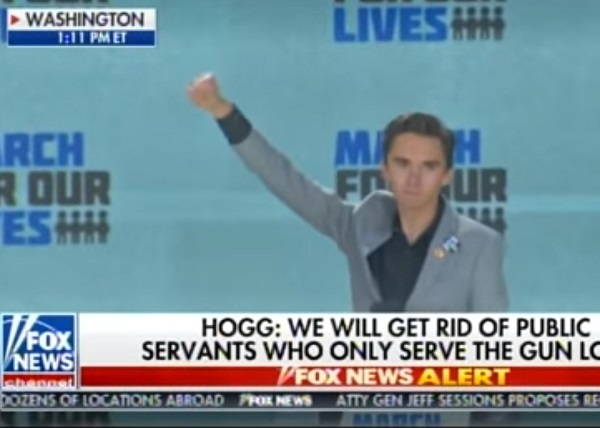 In today’s rally, David Hogg became a full-fledged propaganda politician-in-training, reading from an obviously scripted speech, full of flowery words and high ideals that covered over his real goal: The complete disarmament of all law-abiding Americans. Pray a Our Father now for our youth. Does Cld. 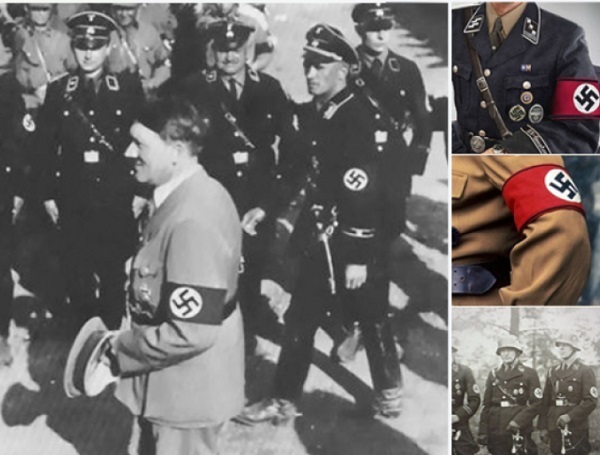 Cupich Think Hitler was Good or Bad?